Pretty much everyone knows you should have a home toolbox with a few essential items ready to use. Things like a good hammer, screwdrivers, a set of socket wrenches, a good pipe wrench, a roll of duct tape. Stuff like that. But a moisture meter? Really? Actually, yes, really. In fact, REALLY! Early detection of moisture makes it easier and less costly to fix a problem. The longer water damage is allowed to stand in place, whether after a storm or a bathtub overflow, the more likely more materials will need to be removed and replaced rather than dried. Also, the longer water damage goes unnoticed, the more extensive the repairs will need to be. Moisture hides in plain sight when there is no way to detect it. We all think we can ‘see’ water damage, and sometimes we can. But more often than not there is moisture we don’t see, especially after any kind of flooding incident, large or small. Flood restoration specialists say homeowners often ask them how they can tell the walls are wet. The answer is, the expensive moisture meters they use on the job will tell them. However, experts suggest inexpensive pin-type moisture meters can provide this information to the homeowner before they are called in. 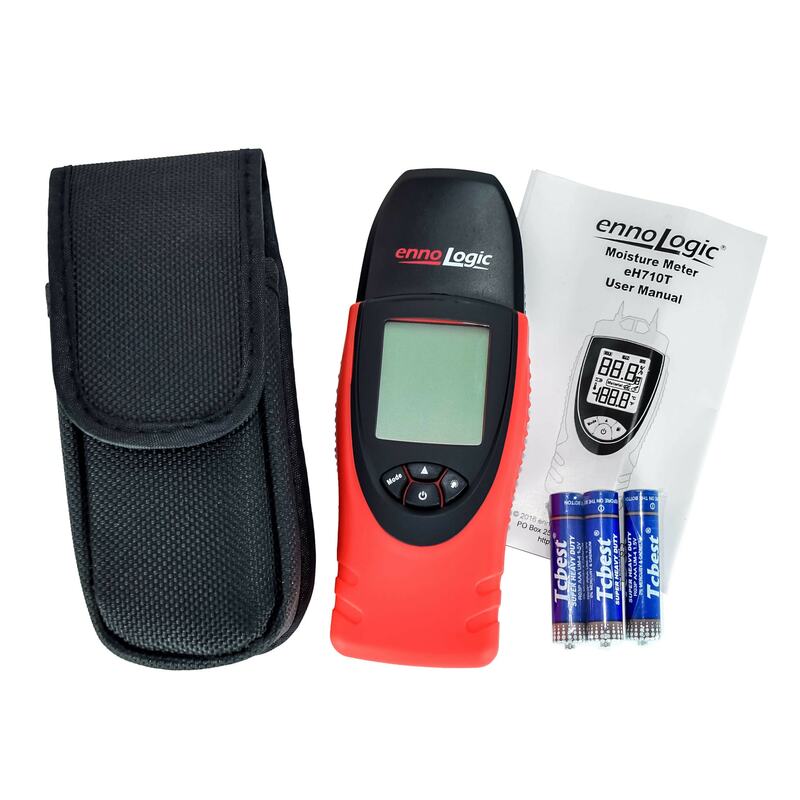 Complete your toolbox with an ennoLogic moisture meter. Moisture can build up over time, without you knowing it, around areas like showers and bathroom sinks where slow behind-the-wall leaks in pipes can go unnoticed for years. A moisture meter testing walls under sinks and behind or adjacent to showers can reveal if there is excess moisture present, which could indicate unseen leaks, pour grout or tile work or other causes of water build up around bathrooms. While it’s true you can use blacklights to find ‘problem areas’ left by pets, it’s important to know that your clean-up work has dried thoroughly. Otherwise, take action to get to the moisture and remove it. A moisture meter can confirm a complete removal of the moisture. It can also tell if there is still moisture lurking in the carpet underlayment or subfloor. Equally important, a moisture meter can tell you if the stain detected by the blacklight is new or not. The sooner you can measure and make accurate records of moisture levels with a moisture meter, the better the odds of getting the insurance coverage and claim you deserve for the damage that has occurred. A professional repair service will give a better job at restoration and repair as well. This holds true when you can provide the correct information to a professional repair service. Some household jobs require materials to be dry in order to work effectively. For example, house painting, finishing and staining of decks and wood, etc. Especially if you use a process where you first clean or power wash an area you wish to paint, stain or refinish, a moisture meter can tell you when your surface is ready for the next step. Mold. Mold grows in moist dark conditions and it is a serious health hazard. The best way to avoid mold contamination is to make sure all the interior areas of your home (including inside the walls of bathrooms and laundry areas) are staying dry. Periodic testing of the moisture levels of the floors and walls of these areas in inconspicuous places helps. You’ll get the assurance that your home doesn’t have hidden leaks that could be creating a larger problem later on. It’s easy to determine if you have a problem before you have to call in a professional. If you get a professional, you’ll spend a lot of money to find out whether there is a problem or not. By using a moisture meter to test for the moisture level in areas around your home, you will learn what the normally dry conditions and readings are. 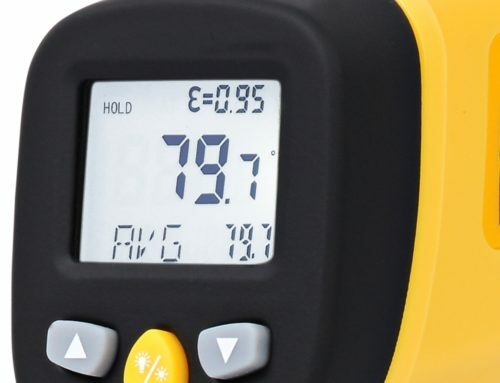 The moisture meter provides you the confidence to make educated assessments of potential water damage during plumbing or weather-related emergencies. This was an awesome read thanks for sharing valuable info about moisture meter. I am happy to have found this information on this post. Keep sharing more blogs with more updated information.